Arsenal manager Arsene Wenger had injury worries with defender Sead Kolasinac a doubt and German Shkodran Mustafi sidelined after the FIFA international break, defender Laurent Koscielny also faced a full fitness test. Chile international forward Alexis Sanchez had been to far away South America for the FIFA international break making his place in the starting XI uncertain. Watford FC, meanwhile, remain without former Chelsea youngster Nathaniel Chalobah through injury. Nigerian forward Isaac Success is also out long-term absentee. Germany international attacking midfielder Mesut Ozil and forward Danny Welbeck were back in contention. 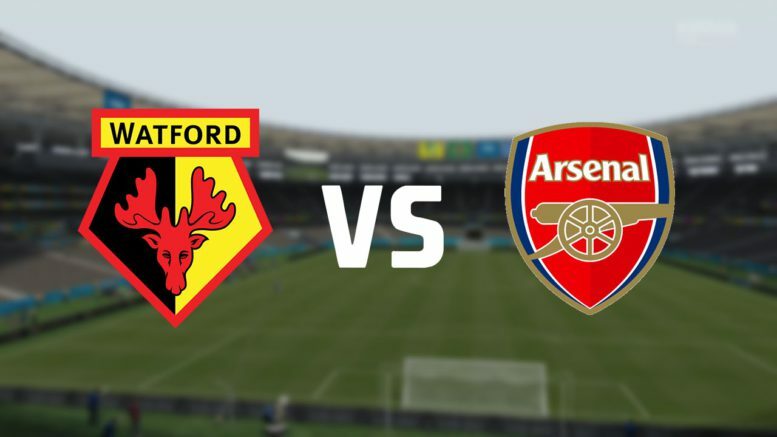 Watford team: Gomes (C); Kabasele, Mariappa, Britos; Femenia, Doucouré, Cleverley, Holebas; Pereyra, Gray, Richarlison. Karnezis (GK), Wague, Janmaat, Watson, Capoue, Carrillo, Deeney. Arsenal team: Cech, Koscielny, Mertesacker, Montreal, Bellerin, Elmeny, Xhaka, Kolasinac, Iwobi, Welbeck, Lacazette. 1 Comment on "Confirmed Watford vs Arsenal teams XI: Alexis Sanchez, Ozil dropped"